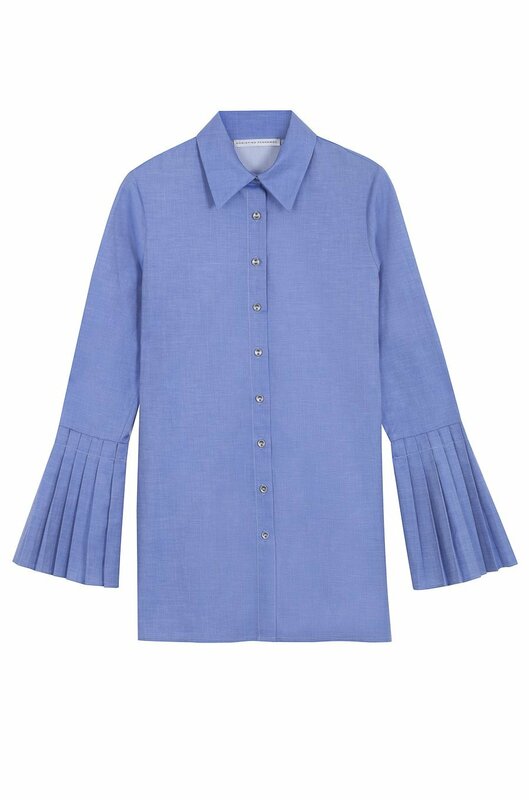 This shirt is cut from fine cotton in a light blue hue. 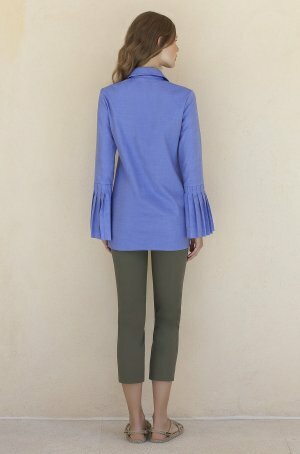 It is cut for a loose fit and has pleated cuffs. Pair it with pants or shorts and wear it all day, from day to night.